Royalty has long been a favourite subject for artists. Sometimes because they were reimbursed for it and other times for the sake of history to mark a personage or event. 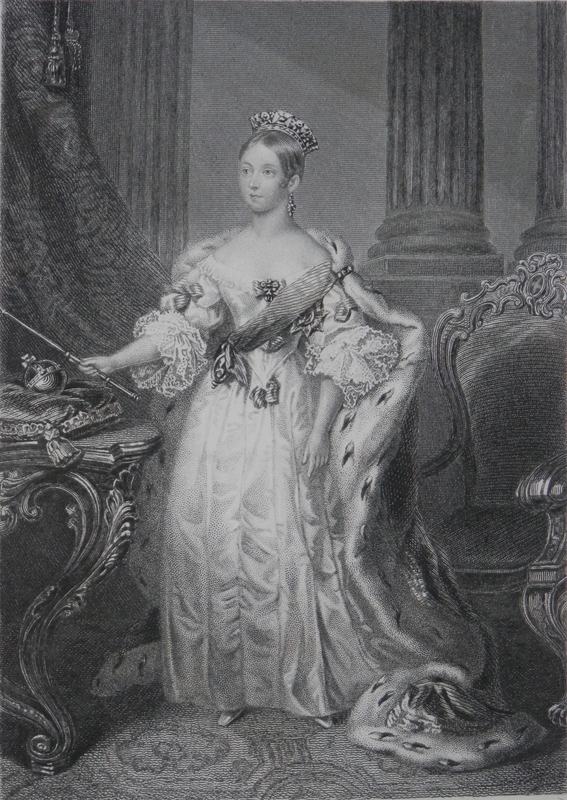 We begin with a wonderful engraving by #HenryBryanHall (1808-1884) of #QueenVictoria who reigned from 1837 to 1901. The length of her reign (longest to date) will shortly be surpassed by our present Queen Elizabeth. The engraving comes from a book titled ‘Lives of Illustrious Women of England’ by J Tillotson. A book to honour women of royal, noble, or celebrated status. It is embellished by a number of fine engravings of the women honoured. 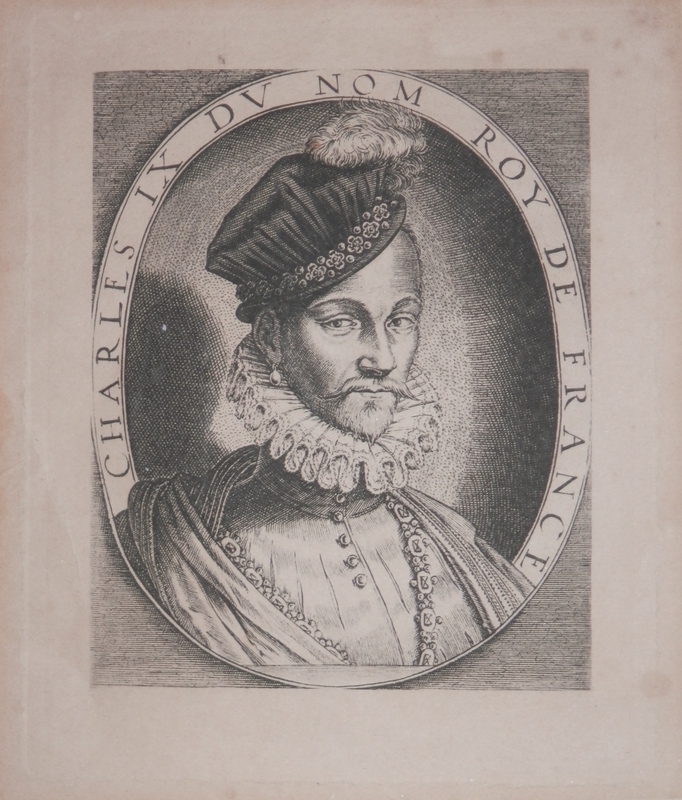 #CharlesIX, King of France engraved by an unknown artist. It is a very fine copy of the portrait done by #ThomasdeLeu. It is pressed onto wove paper so stems from 1850 and onwards. Charles reigned from 1560 to 1574. He saw tension between Protestants and Catholics break out into war in 1562. Through his trying to appease the combatants he became very unpopular in the eyes of both sides. He then aligned himself and with the instigation of his mother (Catherine de’ Medici) he allowed the massacre of all Huguenots who had come to Paris to attend the royal wedding, thus crippling the Huguenot movement. It is now known as the St. Bartholomew’s Day Massacre. And finally to a different type of royalty. #EdwardAlleyn etched by #EtieneBocourt. Mr. Alleyn was ‘King of the Boards’. 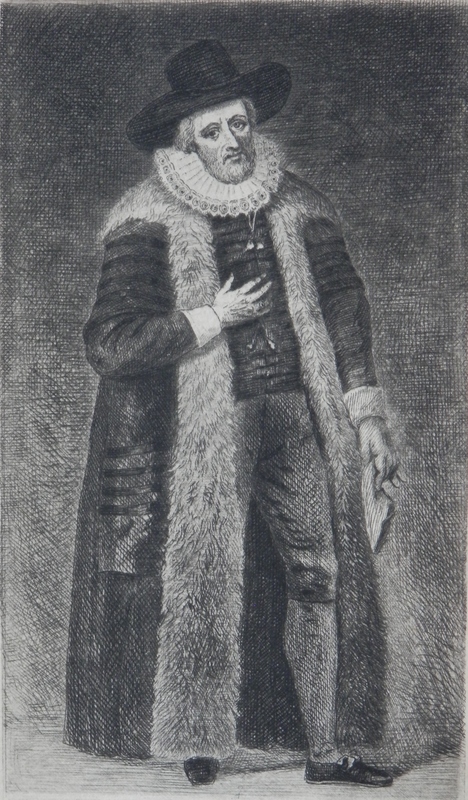 Of his early career little is known but by 1585, he was rated the foremost actor of his time. Lead roles in plays by Marlowe, Greene, and Kyd were his. He retired in 1598 at the height of his career. Queen Elizabeth was such a fan that she requested his return to the stage. He complied but not until 1604 a year after her death. He is remembered not only for his prowess as an actor but also for the founding of Dulwich College and Alleyns School. This entry was posted in Etching and tagged actor, Charles IX, crown, Edward Alleyn, Etienne Bocourt, H B Hall, Queen Victoria, robes, ruff, Thomas de Leu. Bookmark the permalink.